Get ready to enjoy a weekend of visual arts, music, food and kids&apos; activities that has been part of downtown Raleigh, N.C.&apos;s DNA for nearly four decades. 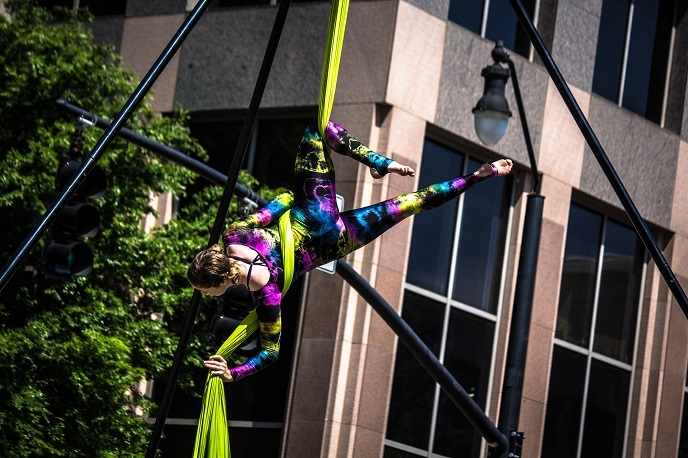 Artsplosure - The Raleigh Arts Festival is a remarkable experience that has grown bigger and better throughout the years without losing its eclectic charm. 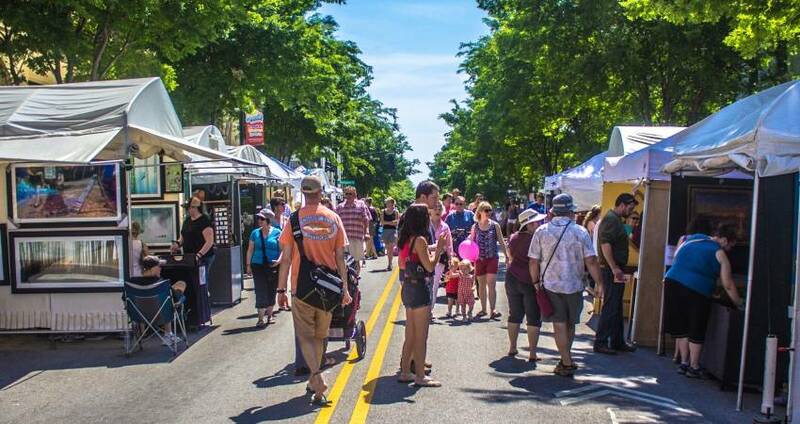 The 37th annual Artsplosure festival takes place May 20-22 throughout downtown, starting on Fri. at 11am and running all weekend. The festival is comprised of two main sites anchored by performance stages: the Fayetteville St. Art Market with the City Plaza Main Stage and the Moore Square area featuring the Park Stage. The children’s venue, dubbed “Kidsplosure,” opens in Moore Square at 11am on Sat. with special performances by Meredith College’s Suzuki Violin group, One Tribe Drum Circle and other talented young performers from the area. Kidsplosure will feature entertainment, hands-on crafts and other interactive activities for children. There will even be an “Art Putt” miniature golf course where miniature players (and parents) can putt their way through nine creative holes of original artwork. 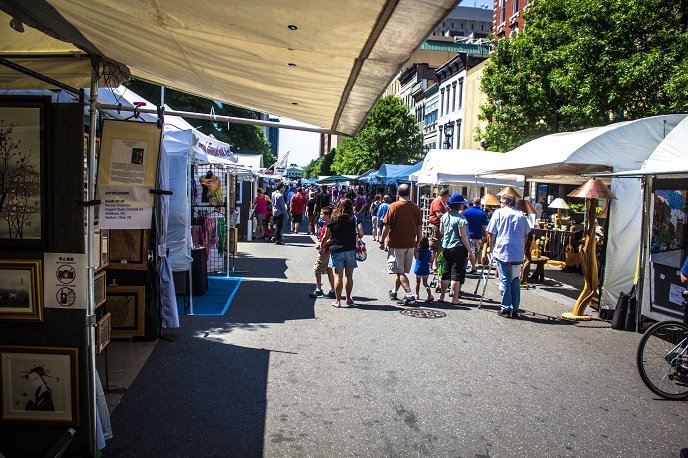 Along Fayetteville St., the festival’s expanded, juried Art Market, showcasing critically-acclaimed national artists, including many from N.C., will run for all three days. Nearly 180 artists will exhibit and sell their original works of art in categories including ceramics, fiber art, glass, jewelry, metal, painting, photography, wood and other 2-D and 3-D media. At noon on Sat., the marching bands of Enloe and Southeast High Schools will get the party started on the City Plaza Main Stage together with a special guest, “Jazzical” composer and pianist Joel Martin. In the afternoon and into the evening, the Shana Tucker Trio, Boulevards and Doyle Bramhall II will bring their talents and energy to the City Plaza stage. On the Moore Square Park Stage, Donovan Woods gets the show underway at 2pm on Sat., followed by Irish Mythen, Mo Kenney and The Stellas. On Sun., the Park Stage cranks up at 1pm with Hazelwood, followed by the Way Down Wanderers and the Mardi Gras Indian funk band from New Orleans, Cha Wa. The City Plaza Main Stage follows at 2pm with original music by Bronze Radio Return and Samantha Fish. Raleigh will then welcome blues legend Sonny Landreth to the festival’s Main Stage for a soulful finale to the festival. And here’s something new: you can preview most of the bands scheduled to play by checking out the festival’s Spotify playlist: Artsplosure 2016. Get more details here, and put Artsplosure on your calendar! This festival is one of the reasons people fall in love with Raleigh every spring.